When I was in high school, our neighbors a few doors down had a garage sale. Of course, my dad and I walked down to check it out. They were selling a long navy wool coat with leather-wrapped buttons. It was in great shape, it had a little vintage vibe that I liked, and was $10. I didn’t like the length, though. It came down to my shins. I asked Dad if it could be resewn at a better length. He said he was sure my aunt, Dana, could do it. 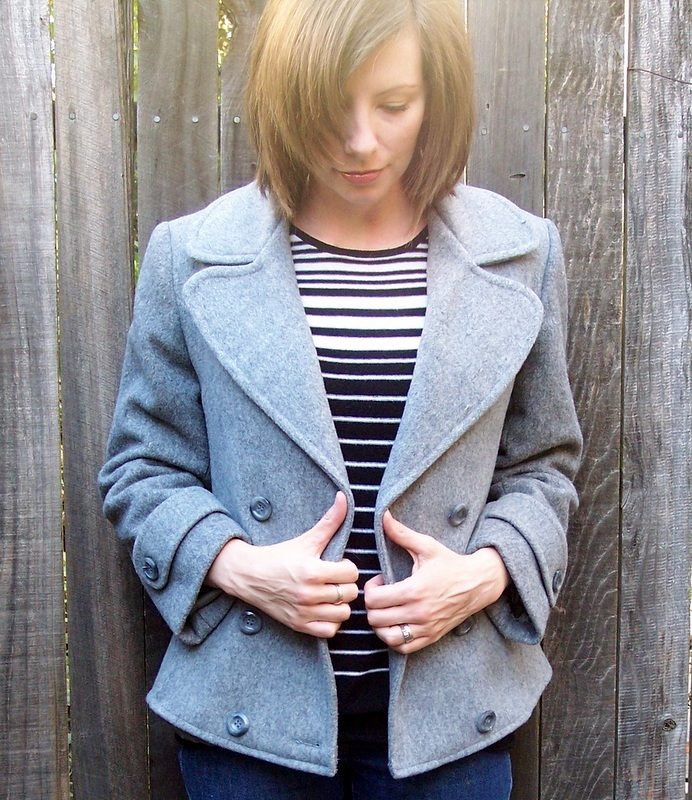 So when I came across this gray one at the thrift store a while back, I thought it would be a great project – FOR MY TAILOR! Chopping up outerwear is super intimidating, and I am no pro. So as The Thrift Project is drawing to a close, I’m going out with a bang. 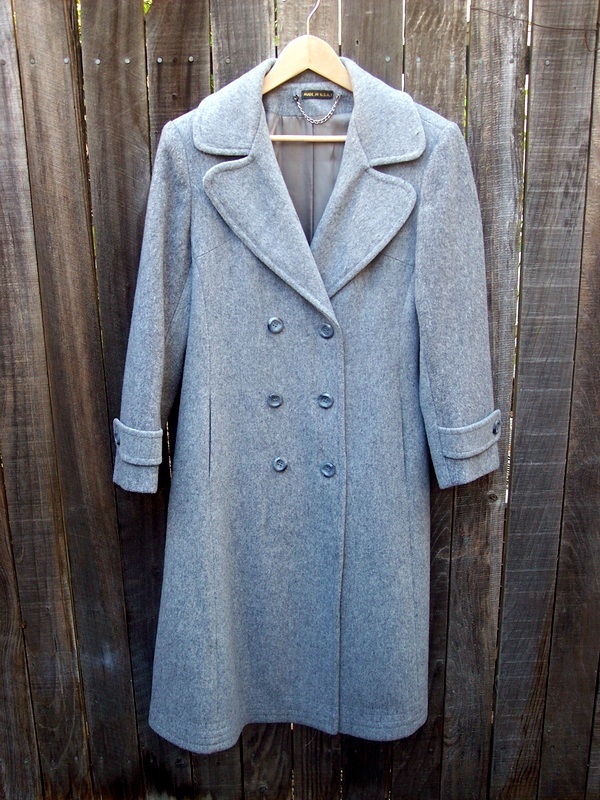 I’m remaking a big old wool coat. Here we go…. I started by trying it on and determining how long I wanted it to be. 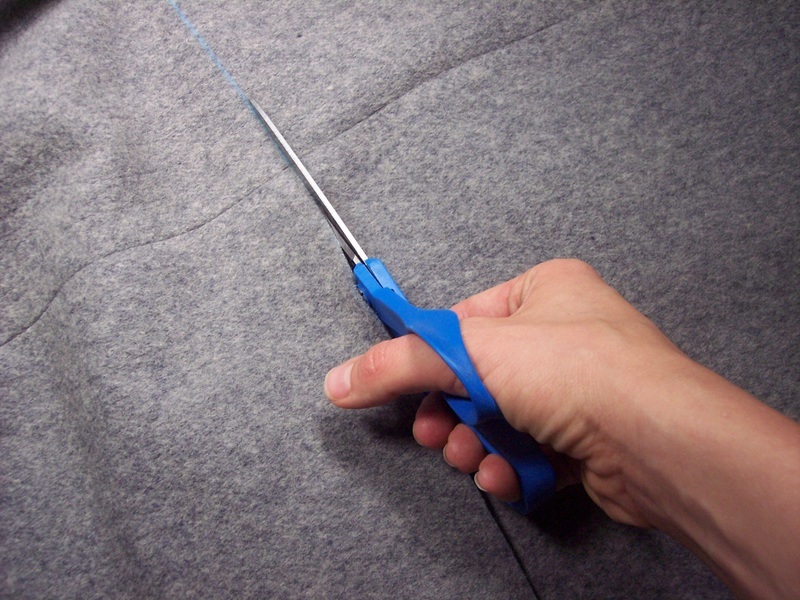 I marked 6″ up from the hem and cut the bottom off. 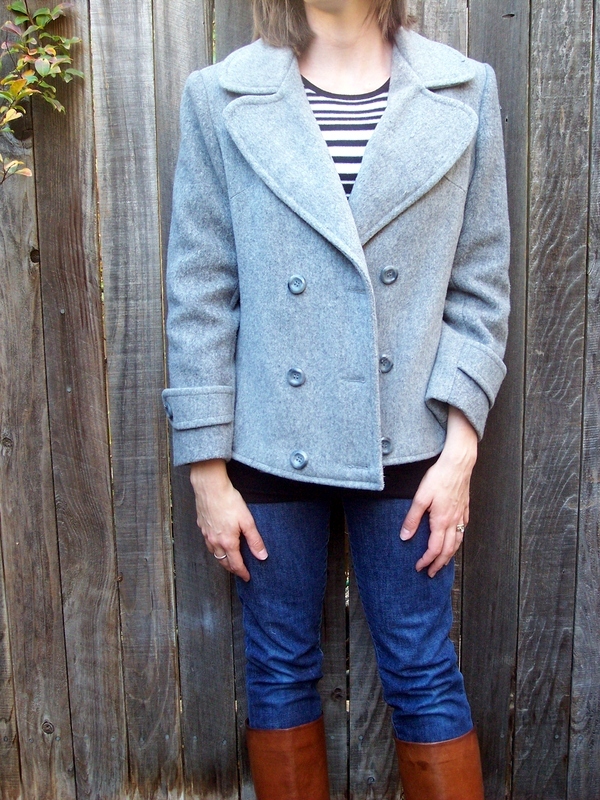 When I tried it back on, I decided to cut another 4 1/2″ – I wanted a short coat, much shorter than my other pea coats. This coat is fully lined, the biggest point of anxiety for me on this project, so I needed to adjust this, too. 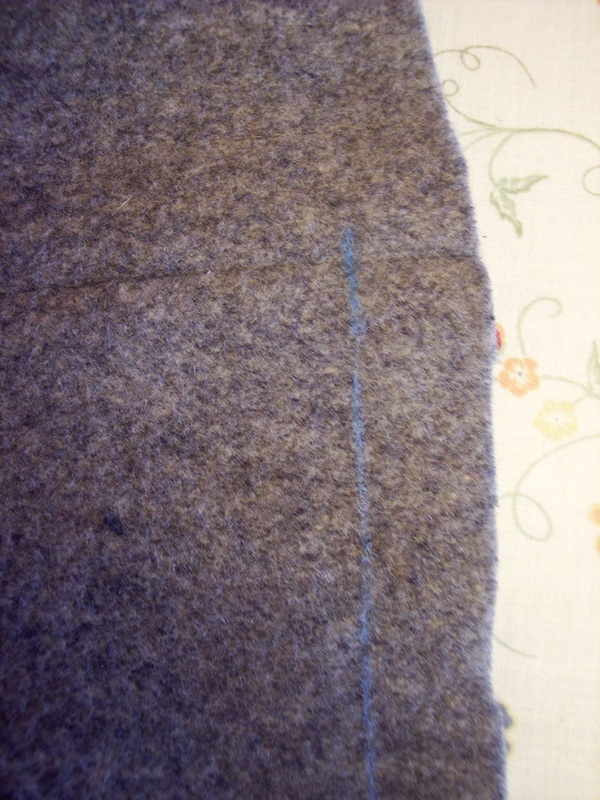 I cut the bottom of the lining away, leaving about 5″ to work with after I hemmed the coat. I had to seam rip the lining from the coat, and this time, I didn’t cheat. 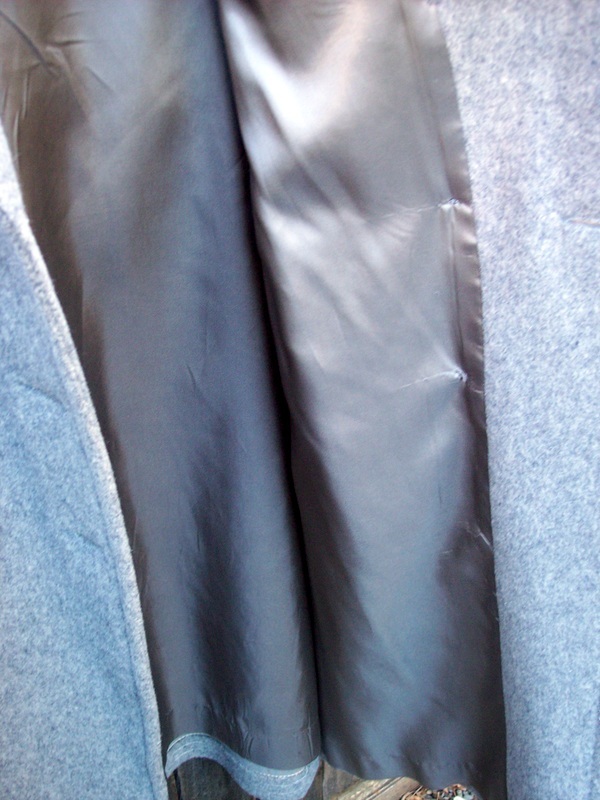 But before finishing the lining fabric, I needed to hem the coat. I used chalk to mark the bottom of the hem, and then I folded and pinned. 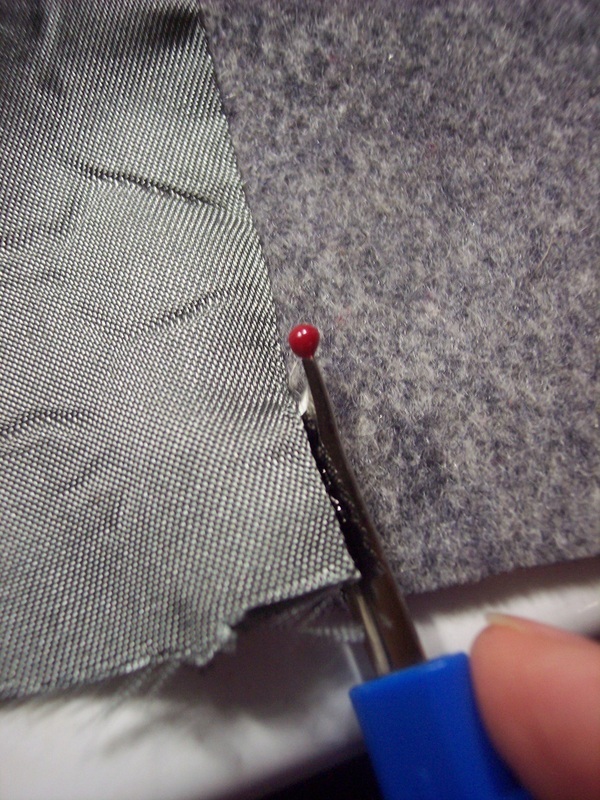 Sewing the hem was the easiest part – working with felted wool is very rewarding because you really don’t need perfectly finished hems, and even when it’s really thick, the needle slides though like a knife in warm butter. So the lining. No photos here, but I basically created a double folded hem, about 1″ wide. 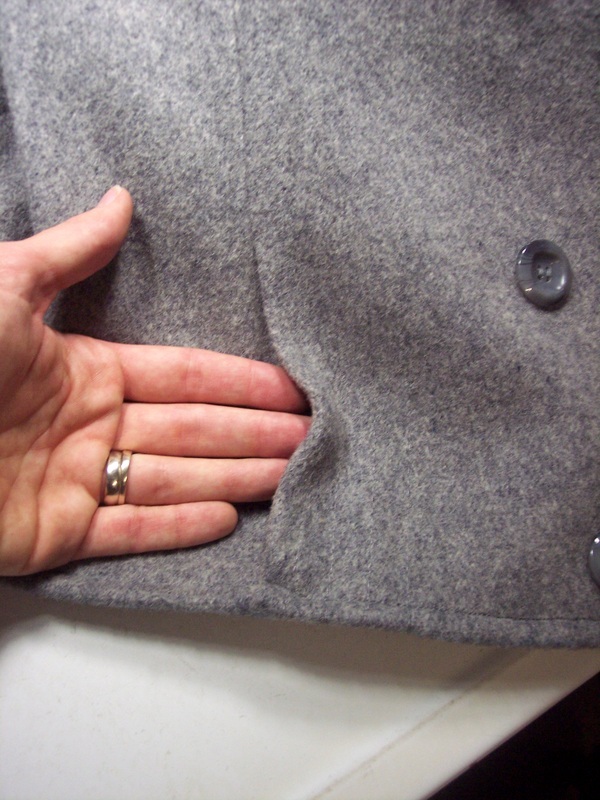 If you’re going to do this, you just need to ensure the lining doesn’t hang below the hem of the coat. To be honest, my lining isn’t perfect, but it’s hemmed. Good enough. What wasn’t good enough? The pockets. 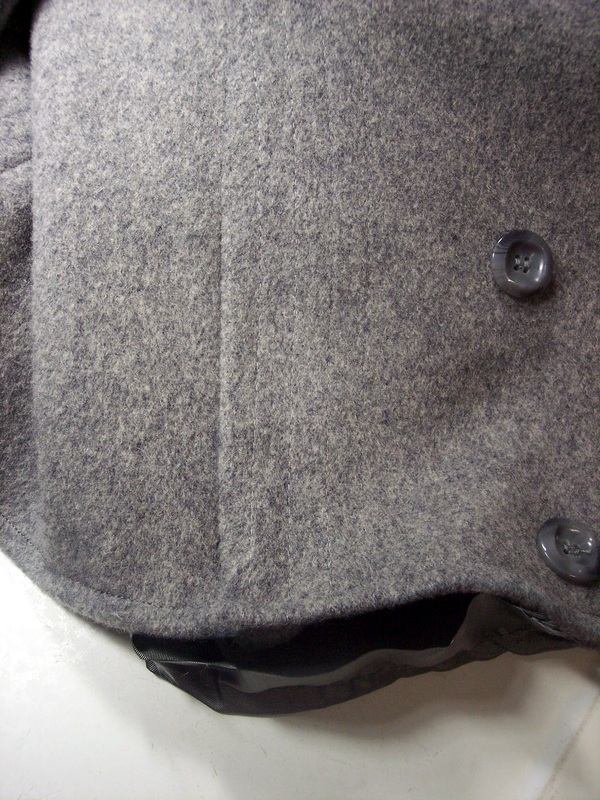 When I finished hemming the coat and the lining, I tried it on, and the pockets hung too far down below the hem. Looked a little silly. So instead of shortening the pockets into tiny little things, I just closed them up. 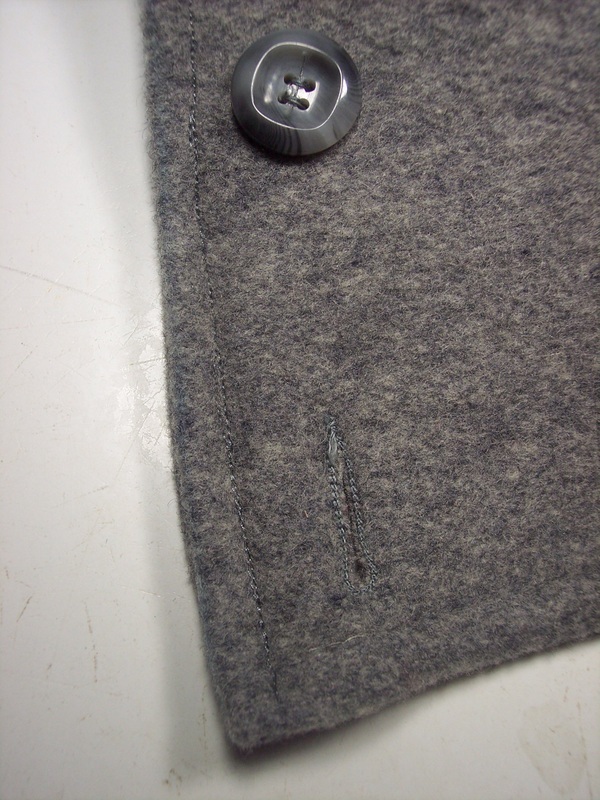 That’s right, my coat has faux pockets now. The picture above shows how shallow they are – only my fingertips will fit. A small sacrifice, really – I’ll just remember to always wear gloves with this coat. I have more thoughts on all I’ve learned from The Thrift Project tomorrow, but this coat is kind of a symbol of how far I’ve come during 31 Days. I would NEVER have attempted something like this a month ago. Pretty cool. My gosh! I can’t believe you did that! It looks great! You have more nerve when it comes to a pair of scissors than anyone I know! I would have been terrified! Aunt Dana has nothing on you! Well, I don’t know about that…. And really, what’s to lose when you’ve just spent $5 on the coat? That’s what I had to keep reminding myself. It looks gorgeous! Good job! I love it! i stumbled onto your blog from the nester- i always pick up a blog or two to read for the 31 days series…..i have totally loved seeing your projects!